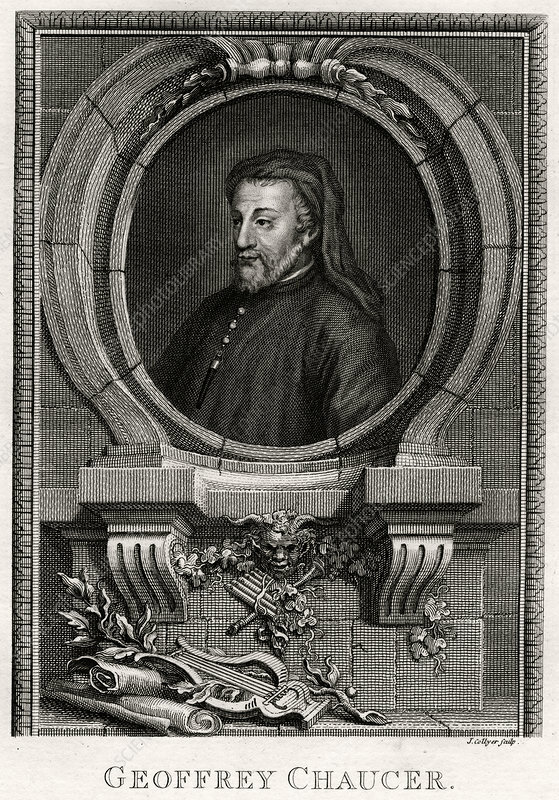 Geoffrey Chaucer', 1774. Chaucer (c1343-1400) was an English author, poet, philosopher, bureaucrat (courtier), and diplomat. Chaucer is best known as the author of The Canterbury Tales. A plate from The Copper-Plate Magazine or A Monthly Treasure, London, 1774. Artist: J Collyer.